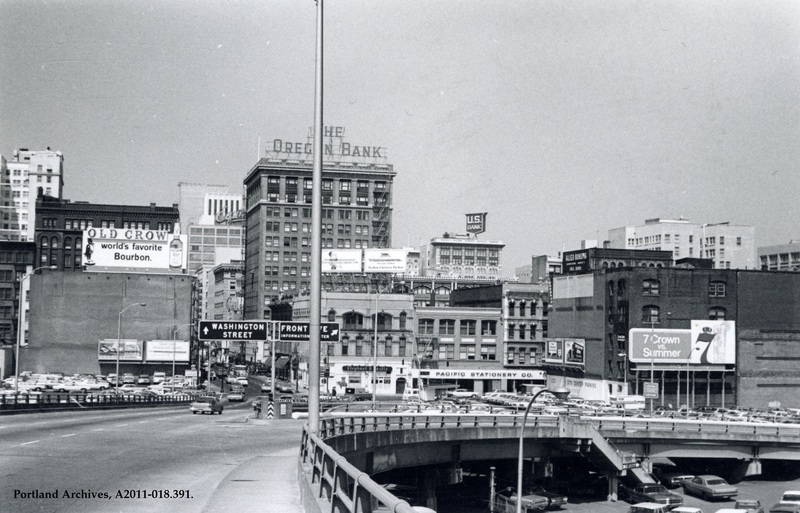 West end of the Morrison Bridge, 1969. City of Portland (OR) Archives, A2011-018.391. 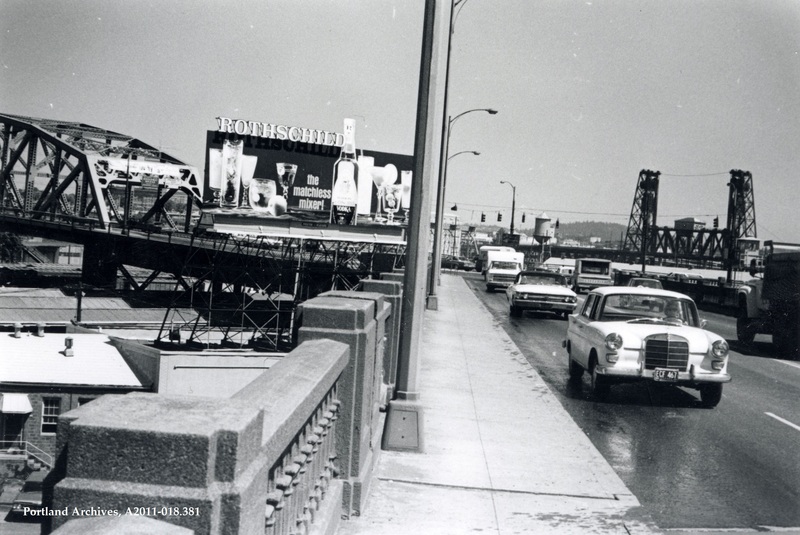 “Rothschild” billboard on the west side of the Broadway Bridge ramp, 1969. City of Portland (OR) Archives, A2011-018.381. 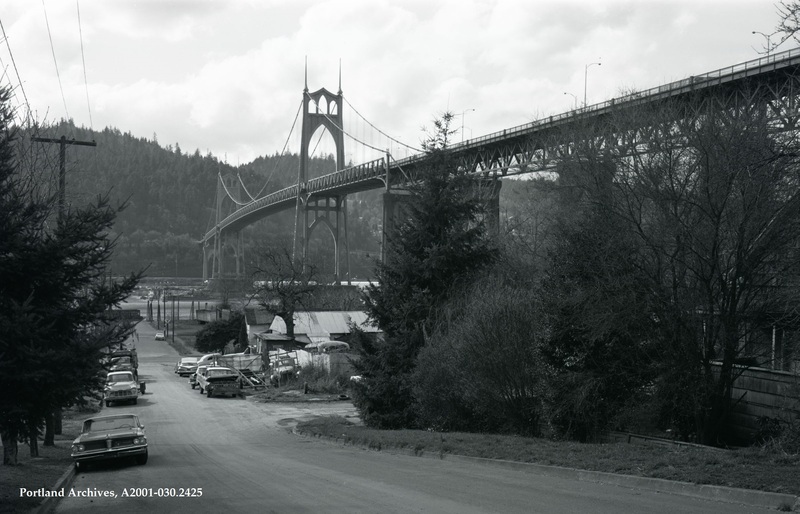 Cathedral Park and the St. Johns Bridge, 1973. City of Portland (OR) Archives, A2001-030.2425. 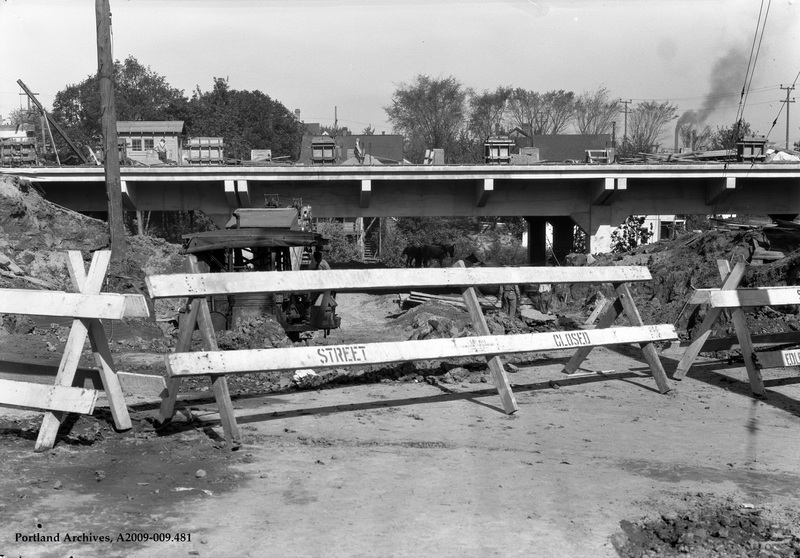 Overpass construction for west Ross Island Bridge approach, 1926. City of Portland (OR) Archives, A2009-009.481. 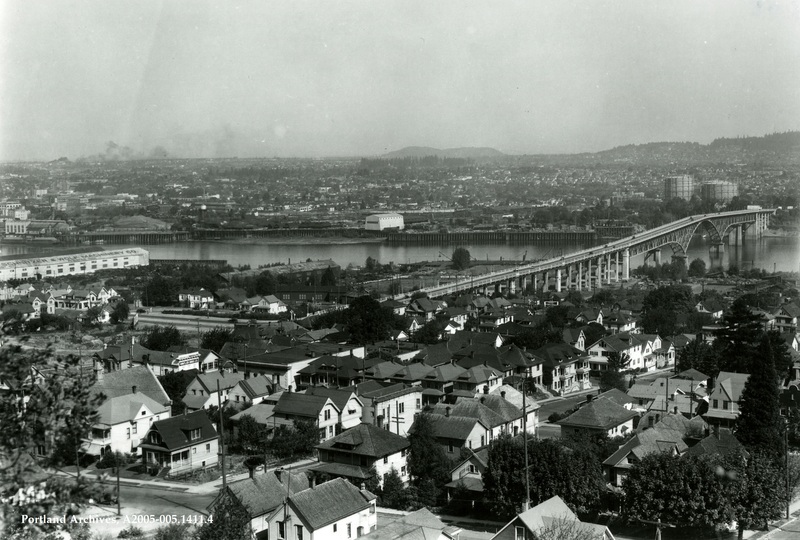 Construction on the west approach of the Ross Island Bridge, 1926. City of Portland (OR) Archives, A2009-009.479. 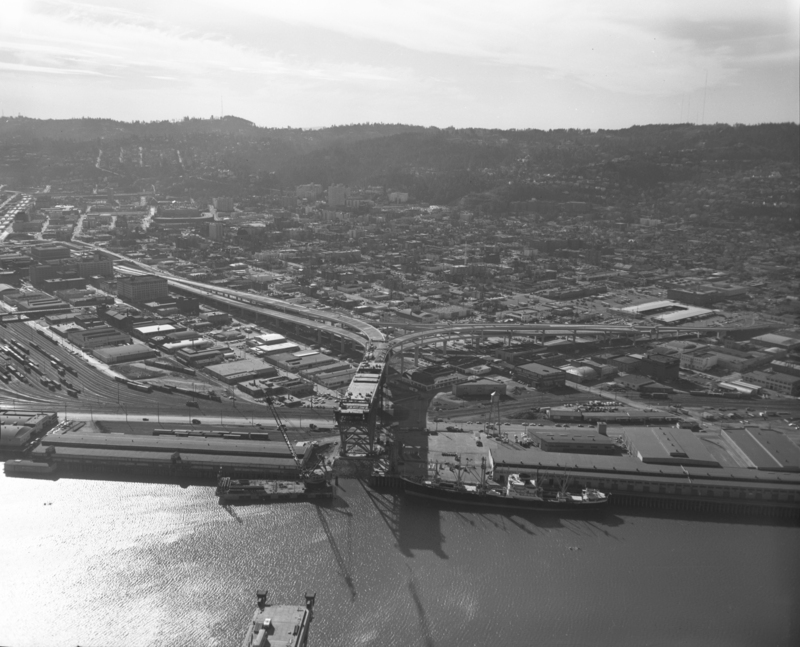 Aerial of Fremont bridge construction, looking west, 1973. 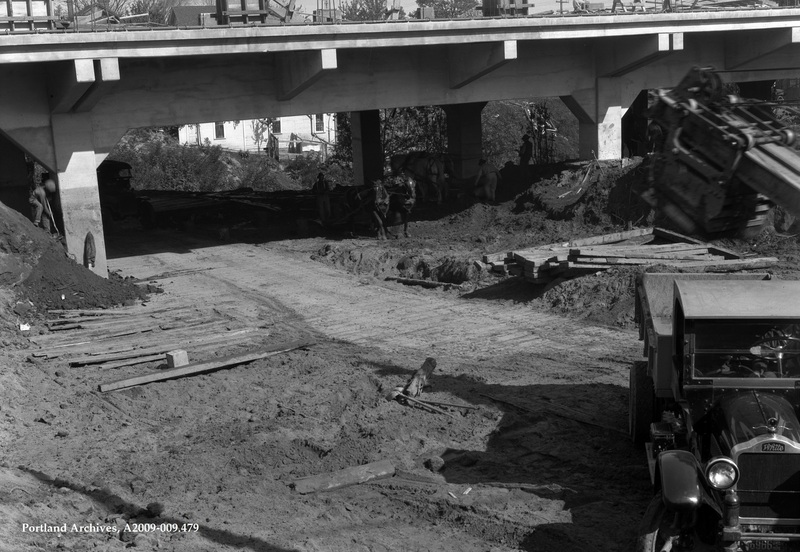 City of Portland (OR) Archives, Aerial of Fremont bridge construction looking west, A2012-005, 1973. The Ross Island Bridge and South Portland from the West Hills. Rocky Butte is seen in the distance in the center of the photo, 1934. City of Portland (OR) Archives, A2005-005.1411.4.